The Red and Whites of Kolkata are seemingly on their way to a third consecutive ISL semi-final spot, but Pune City need a win in this tie to turn their horrendous season around.. It is perhaps not the type of battle-royale Antonio Habas envisioned. 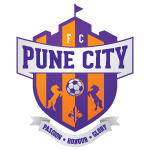 However, on Sunday 6th October, his team FC Pune City will be battling to reinvigorate and reconfigure a sordid Indian Super League (ISL) campaign that has unfolded before them, against Habas' one-time proteges Atletico de Kolkata, at the Shree Chhatrapati Balewadi Sports Complex. It is a tie that marks the beginning of the second half of the league stage for both teams, each having played seven games. However, the most important statistic, can be found in the points section, with the Rojiblancos of Kolkata having DOUBLE of the Maratha Stallions' tally at this stage. Times have become desperate for the Hrithik Roshan co-owned ISL team. 72 hours ago, FC Goa strode into the Maratha heartland and consigned them to another defeat - relegating them to last on the table, which was occupied by the Gaurs before the match. It's the Orange and Purples' worst start to an ISL campaign and nothing seems to be clicking on the pitch for the Spaniard. With a clear lack of creativity in the side, addressed by their poor goals scored count numbering just five, Habas will seek to make a few changes ahead of a brittle test. Dharmaraj Ravanan is suspended. Therefore, Gouramangi Singh and Eduardo Ferreira will the central defensive partnership ahead of Edel Bete. The latter had been rested in the previous tie with this match in mind. It is quite possible that Narayan Das and Rahul Bheke will start in their respective full-backs position. However, Habas may choose to chop and change here, with Zodingliana Ralte one in particular who could be drafted onto the left side, with his pace. Central midfield will not likely change with Jonatan Lucca a mainstay in this side now. Mohammed Sissoko will look to shirk off a few poor performances off his record and provide a good account of himself as well. Last time around, Lenny Rodrigues sat deep in midfield looking to cut-off FC Goa's attacks, though he won't start this tie. It'll be Arata Izumi taking to the pitch, as Habas will want him to prove a point ot his former employers as well. Momar Ndoye should be given a run-out as well, though it's more likely Sanju Pradhan will get the nod to start on the right flank. Jesus Tato and Dramane Traore are two workhorses who will have their names etched first into the tarting team sheet again, with the former dropping back as many times as possible to aid his side's midfield. It could be stated that Pune will go ahead with a 4-2-3-1 formation to mimic their rivals, though the team will shift to a 4-3-3 when with the ball and a 4-5-1 without it. 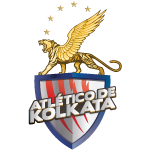 Atletico de Kolkata head into this tie without a perception that the sword of Damocles is hanging over their heads at every instant on the football pitch. Nestled in third position on the table, they remain just three points off the summit, having played two and one game less than those above them, viz. Mumbai City and Delhi Dynamos respectively. With coach Jose Molina back in the dug-out after serving out a suspension and and more than a solid week's rest after a hard earned victory over NorthEast United ahead of this tie, the team couldn't have been more optimized to face their old coach and his struggling coterie. The visiting Spaniard is likely to make a couple of notable changes to the team that outscored the Highlanders, in Guwahati. Defense will feature Arnab Mondal and Tiri, despite Sereno, who replaced Tiri in the last tie having played an excellent match. Pritam Kotal will have his name in the starting eleven as well, while Robert Lathlamuana will begin at left-back in place of Prabir Das. Midfield will re-feature Stephen Pearson and Borja Fernandes, even though Ofentse Nato and Bikramjit Singh wait in the wings. The Scotsman offers the necessary creativity, while his Spanish colleague stifles the midfield. Iain Hume will done the role of a number 10 in this tie, playing behind Helder Postiga at the helm of attack. They will replace Sameehg Doutie and Juan Belencoso respectively. Javi Lara and Lalrindika Ralte will both retain their starting positions, with Lara shifted out to the right but given enough freedom to cut back in and join Canadian Hume in the middle. Even though the side bears an overall look of a 4-2-3-1, it will also be a 4-3-2-1 when in defensive mode and a 4-3-3 when the team go on the offensive. Molina has the added advantage of bench strength to summon. Desperate times call for desperate measures and with Habas needing a win out of somewhere to lift team morale, this could provide the Pozoblanco-born coach the perfect opportunity to show his previous employers the door without any points. However, with yield at an all-time low for the Wadhwan Group co-owned team, it seems the away side have a the fairer shade interest to make a good deposit of three points. Kick-off is at 7 PM IST.